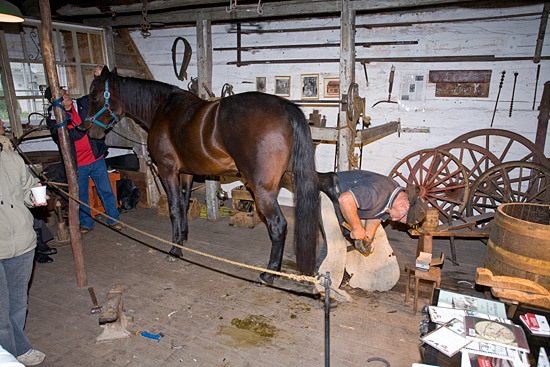 The forge and woodworking shop are first of all highlighted by means of a permanent exhibit. It shows where the collection's objects go. It also gives the forge and the woodworking shop their yesteryear appearance. 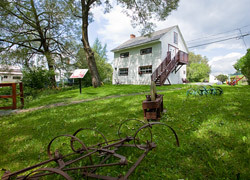 All the objects connected to woodworking are grouped together upstairs and are presented using a new interpretation concept: documentary video, animation video and object manipulations serve to illustrate the ingenuity of the Cauchon artisans and their determination to stay up-to-date and to put to good use the evolution of techniques. Guides are on site to provide interpretation and also to tell some anecdotes which depict the artisans who gave this place it's soul. Their personalized visits run between 45 minutes and one hour. 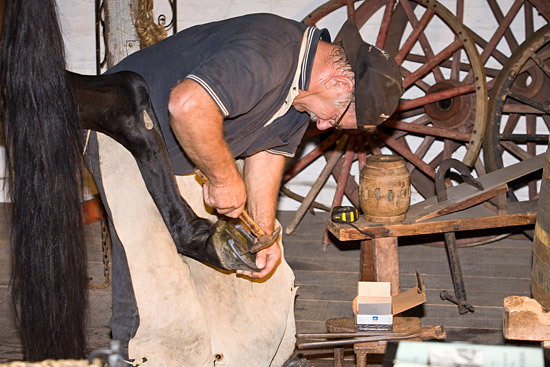 They cover the forge's various activity sectors: the blacksmith's area, the farrier's area, the wheelwright's area, the showroom and the woodworking shop. 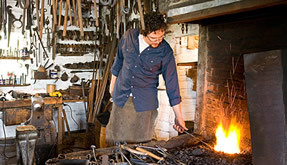 Everyday, during the forge's operating season, a blacksmith is at work and creates forged items that can be purchased. 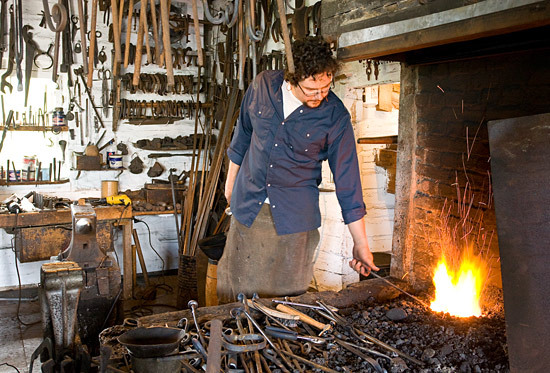 Thanks to his presence, the fire burns once more in the hearth, maintaining the link between traditional installations and modern forging techniques. The Cauchon Forge and Woodworking shop offers visits for school groups. Students can develop their skills thanks to workshops designed especially for them. 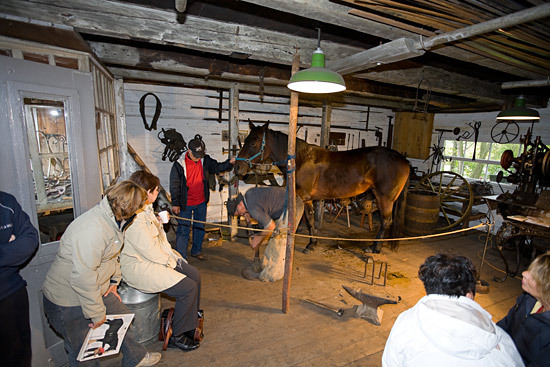 For example, they will discover the utility of the tools on display, their uses, the forms of energy necessary for the forge to operate, and the differences between the technologies of the past and those of today, with the aim of demonstrating the importance of this sector to the Québec society at the turn of the 20th century. The picnic area and ample parking facilities make the forge an ideal field trip destination for groups of any age. 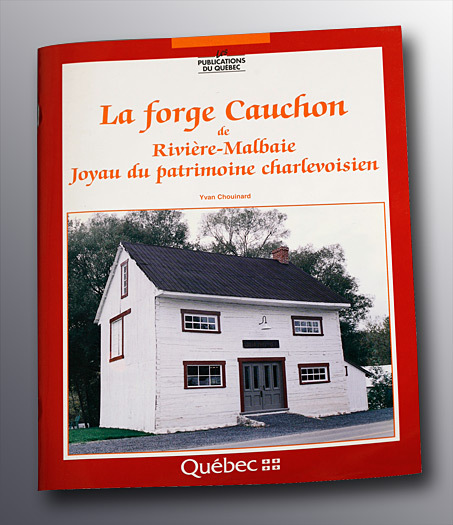 The work, without being a summary of the visit, is a compendium of interesting information for those wishing to know more about the way of life at the beginning of the 20th century, iron working and the Rivière-Malbaie Cauchon family. Buy a forged object made right before your eyes and still warm to the touch? Why not! It will remain a symbolic souvenir of your visit here. We offer different items such as hooks, plant racks, fireplace pokers, decorative elements and so on. Call (418) 665-2160 for more information. 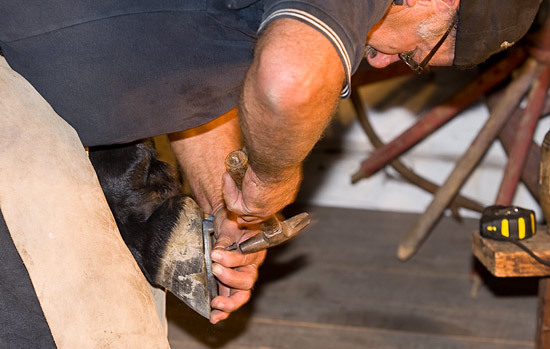 - The "avalure" is the part of the hoof's sole that has grown since the last farriery. It is also called the hoof's growth. 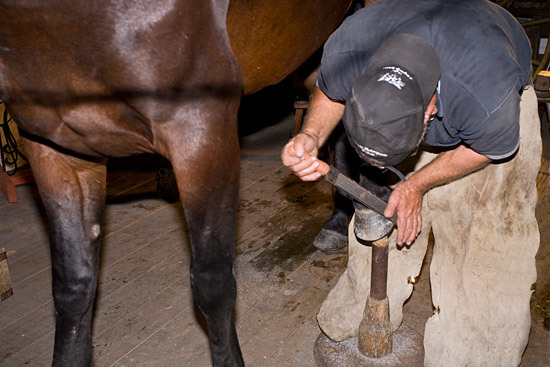 - The "grain d’orge" is a bulge on the horseshoe nail which deviates the nail towards the outside of the horse's foot during farriery. - The "fanon" is a tuft of rough hair located over the hoof and behind the horse's foot. It is also called feathers.